Tag Archive | "freedom of speech"
issue. Between 2012 and 2013, Spain saw a 49 percent increase in the number of persons entering the enclave cities of Ceuta and Melilla. Additionally, applications for asylum in Spain increased to 4,502 in 2013, compared to 2,544 in 2012. The numbers of persons housed at the Melilla center gives credence to the mass numbers of persons that Spain is now trying to manage. As of June 12, 2014, the center housed 2,161 persons, which is four times its capacity of 480 persons. Primary increases in migrants are coming from Mali, Central African Republic, and Syria. Over the last year, there were roughly sixty-five pre-dawn attempts by hundreds of migrants to storm the barbed wire fences separating Ceuta and Melilla from Morocco. 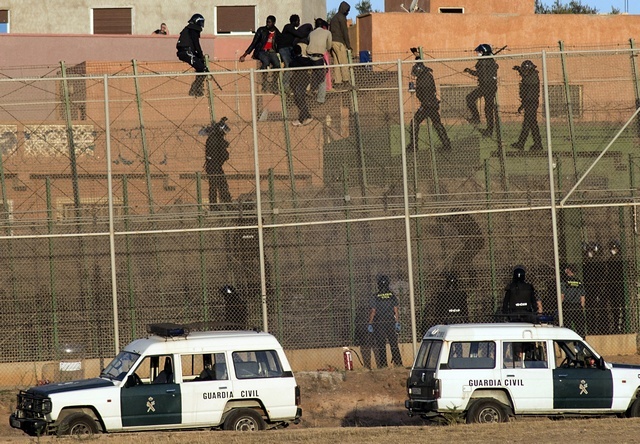 Amnesty International reported that Spain is using unlawful deportations and reported accusations of excessive use of force by border guards in this region. 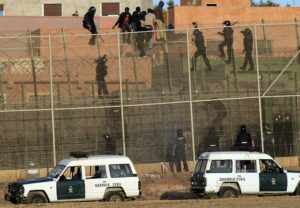 Many who reach the fence surrounding Melilla must wait on the fence until the Guardia Civil force them down and return them to Morocco. For example, on February 2, 2015, the Guardia Civil summarily returned about 100 migrants to Morocco. Additionally last month, Moroccan forces completed a massive raid of the makeshift mountain camps outside Melilla in an effort to stop the attempts to cross the Spanish border. This capture and release effort resulted in migrants being released in the southern regions of Morocco. The implementation of the Public Security Law would allow Spain to formalize the summary return of migrants, a violation of international law. While it should be recognized that the law does create additional protective procedures to try to prevent violations to international laws, it is questionable whether these procedures would have any effect on ground behavior. Spain is already a signatory of Convention relating to the Status of Refugees and the Convention Against Torture. Both of which enshrine the international principle non-refoulement, prohibiting the return of migrants when they would be subject to persecution or torture in their nations of origin. Without procedures in place to process migrants that cross the border, Spain is seriously risking violating these Conventions. Numerous international organizations have spoken out against this law and have attempted to encourage Spain to look to other options. Nevertheless, with the Popular Party controlling the Senate, it is probable that the bill will pass; at least some version of it. This seems particularly true given Spain’s interior minister, Jorge Fernández Díaz’s, eagerness to have the summary expulsion law. Mr. Díaz does not want to consider migrants to have entered Spanish territory until they have crossed the “police line.” It is unclear what action, if any, the international community would take, but with legal concrete action by Spain, some evaluation may be necessary. Alison Haugen is a 2L at Denver University Sturm College of Law and a Staff Editor on the Denver Journal of International Law and Policy. 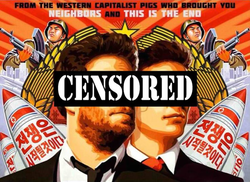 Sony Pictures’ “The Interview”— Freedom of speech or act of war? The Interview, starring Seth Rogen and James Franco is a comedy about the assassination of North Korea’s leader, Kim Jong-un. Bitterly offended by the film, North Korea called the content an “act of war.” North Korea began making threats during the summer of 2014, going so far as involving the United Nations in an attempt to stop the production of the film. Despite this, Sony Pictures refused to cease production and release of the film. In November 2014, Sony’s computer system was besieged by a series of hacks by a group calling themselves the Guardians of Peace. This eventually culminated in Sony cancelling the release of the film due to threats of further attack in movie theaters. Sony and the United States suspected North Korea of masterminding the cyber-attacks while North Korea vehemently denied any part in it. The controversy surrounding the film centers on freedom of speech. The reaction to the initial cancellation of the film in Hollywood was intense with concern that censorship in response to threats will set a dangerous precedent where films and other forms of art will be censored in response to threats. President Obama voiced similar concern over the repercussions Sony’s initial decision to cancel the release of the film will have on freedom of speech, as did other politicians from around the world. However, not everyone agrees that a film depicting the assassination of the leader of a sovereign nation represents a black and white issue of freedom of speech, especially when it involves a nation with whom we do not have good international relations to begin with. Of further concern was the sympathy some Russian officials lent to North Korea in their reaction to the film, as well as the apprehension of North Korea’s ally, China, to get involved in any blame for the cyber-attacks on Sony Pictures. Though restricted in some nations, freedom of speech is a human right. However, nowhere is this right without limit. More recently, freedom of speech came up with Pope Francis’ controversial assertions on the limits of freedom of speech in reaction to the terrorist attack on Charlie Hebdo by Islamic extremists. Out of these recent controversies, questions for the future arise: Can freedom of speech go too far? Could too much freedom of expression result in war? Or will restriction of freedom of expression itself lead to war and violation of human rights? Ultimately, we must find a way to balance the competing interests, preserve our rights and settle our cultural differences peacefully. Bernadette Shetrone is a 3L law student at University of Denver Sturm College of Law and a Staff Editor for the Denver Journal of International Law and Policy.